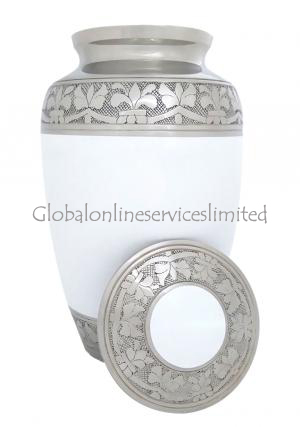 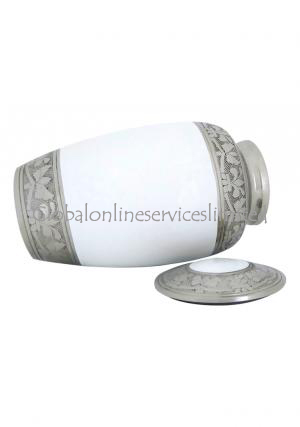 White & Silver Floral Band Nickel Cremation Adult urn is made of solid brass with high quality metal and coated in nickel finish. 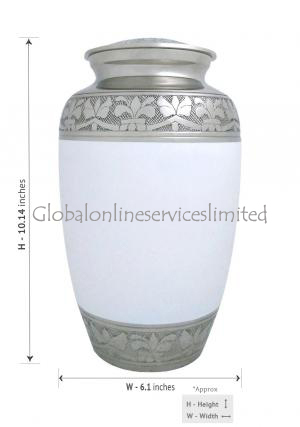 The adult urn is enameled with pearl white and designed with flowers on top and bottom of the urn. 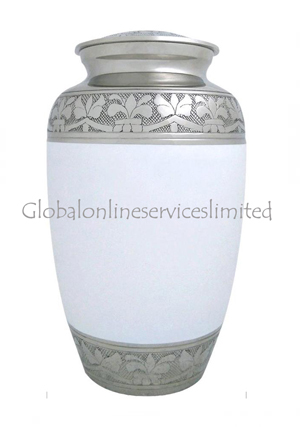 The lid of the white pearl adult urn is decorated in nickel finish with floral design on edges and white pearl enamel at the center. 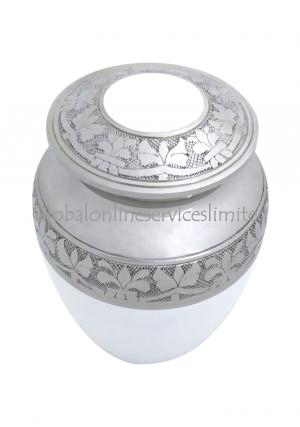 The lid of the adult white & silver floral urn is secured with screw threading for an easy closure and open of the urn. 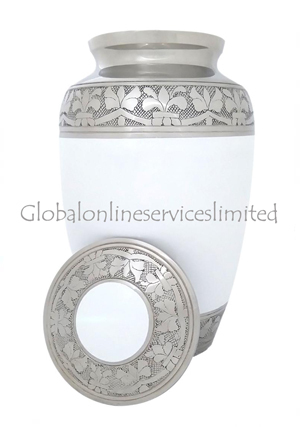 The White & Silver Floral Band Nickel Adult urn is measured to carry 200 cubic inch of ashes which stands 10.14 inch tall, width as 6.10 inch and weight as 2 kg approximately.